There's a reason why coconut oil is everywhere right now. If you want healthy-looking skin, a great metabolism, and a healthy heart then coconut oil is the way to get all three. Over the last couple of years it has recovered from its previous bad rep and people have come back to the idea that coconut oil is actually pretty darn good for you. We talked to the experts to find out why coconut oil should be at the top of your shopping list. Although no one food is a miracle mouthful to great health, coconut oil comes close. 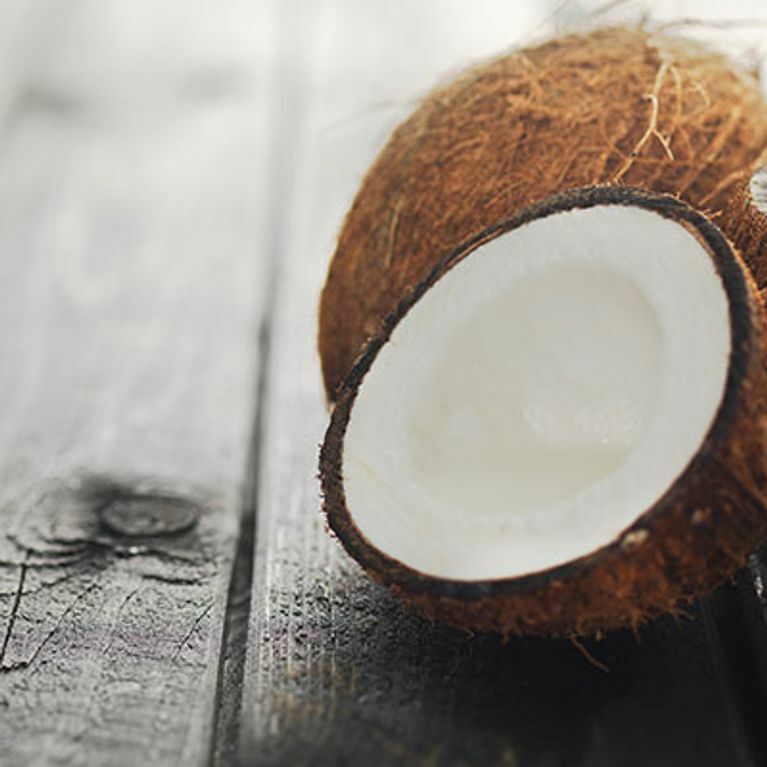 From cooking to your daily beauty routine, there's a whole load of ways that coconut can help your health. But there's still that question of fat. So here are the facts. It's true that coconut oil is around 90 per cent saturated fats and as such, will still be high in calories, but if you haven't clicked off already, this is by no means a bad thing. In fact fats are crucial to keeping our body in working order; from building cells, to producing hormones that control metabolism, and carrying fat busting vitamins and minerals. Nikki Heaton Personal Trainer & Nutritionist says: "Without some fat on our bodies and without the intake of essential fatty acids (EFAs), we simply cannot perform optimally. To reach any fitness goal we need to ensure our bodies are performing and that is where coconut oil comes into its own. It's coconut oil’s exceptionally high level of saturated fatty acids - most of them medium chain triglycerides, which assimilate very well in the body’s systems." So instead of the bad trans fats that are found mainly in processed foods, the type of fats found in coconut oil are the good fats we need for a healthy, happy body. Understand? Good. Now we've cleared that up, here's what you need to know about coconut oil and what it can do for your health. The lauric acid in coconut oil has the power to keep your heart happy and healthy by controlling troublesome cholesterol. This is down to its “ability to increase the good cholesterol (HDL) and lower the bad (LDL) which is important for a healthy heart,” says Lovisa Nilsson, Nutritionist for Lifesum. Here's the one benefit we're most excited about. Yes, coconut oil can aid weight loss as "it contains short and medium-chain fatty acids that help take off excessive weight and its easy to digest. It increases the body’s metabolic rate so people who use coconut oil every day as their primary cooking oil, are normally not fat, obese or overweight." says Geeta Sidhu Robb, Nutritionalist and founder of Nosh Detox. It's not just your insides that benefit from coconut oil, like other natural oils like argan oil, it's great to use on your skin, hair and nails to keep them nourished and moisturised. You can even use it as a massage oil as it's solid consistency means that it will keep its thick, creamy texture until things start to heat up. Less mess, loads more hotness. Coconut oil is a brilliant source of energy as the "MCT are transported to the liver where they are used as a quick source of energy or turned into ketones (this is used as 'food for the brain)." says Robert. So if you're looking for an energy lift, a teaspoon of coconut oil in your coffee or with some food will work wonders. 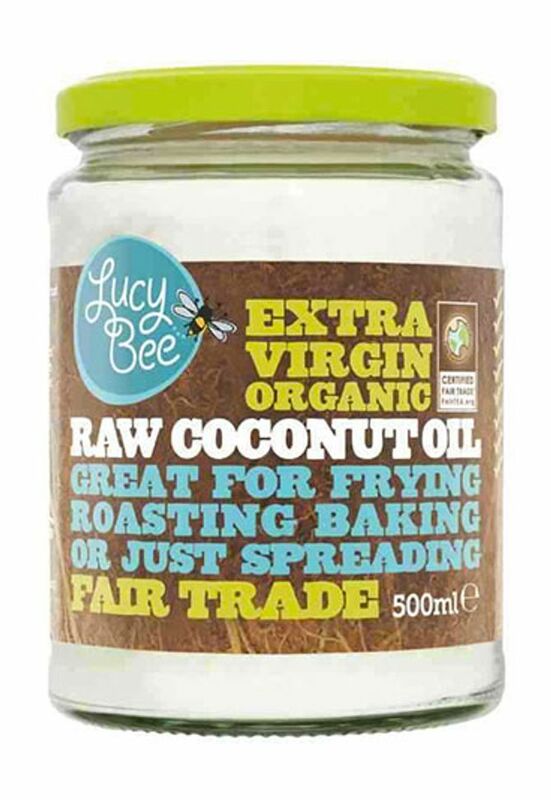 Unlike sunflower oil or even virgin olive oil, cooking with coconut oil is incredibly healthy. Nikki says that "coconut oil has a much higher smoke point than other conventional cooking oils (olive oil included – which it's only beneficial if taken cold and uncooked), which means it maintains its goodness even when heated!" ​If you're going really technical, this is because "unlike many vegetable oils it is resistant to the breakdown of fatty acid chains when heated." says Lyndy Stanway Marsh, from Heathcoach. It's not just cooking with coconut oil that's great, Robert says "coconut oil is great for vegans as an alternative to butter and other spreads. This is because coconut oil is solid at room temperature and so unlike other oils, it can be used as a spread. It's also a purely natural product free from any animal products or dairy so is a great ingredients for vegans. As well as lowering things like cholesterol, coconut oil can actually help improve other health woes down to the high content of lauric acid. "A lot of the more convincing research is around a type of fatty acid called lauric acid which is converted to monolaurin in the body (coconut oil is really rich in this fatty acid). This compound has been shown to have antiviral properties and studies have shown how it prevents certain viruses from entering cells and causing illness," explains Robert. It might sound a bit farfetched at first but studies show that coconut oil can actually help with brain activity and as such, can be a great aid for the prevention of conditions like dementia and Alzheimer's. Robert says: "Coconut oil has been linked to studies showing how the ketones produced from it's metabolism may benefit Alzheimer's sufferers by increasing energy supply to the brain (energy in the form of ketones)." Those ketones can come in very useful if you're an athlete or when you're doing short bursts of high intensity exercise like HIIT. Leading nutritionist, Patrick Holford is convinced of coconut oil's ability to enhance your sport performance. He says, "Because of its easy conversion to ketones [coconut oil] may help athletes increase performance especially in anaerobic sports such as sprints." If you suffer from digestive problems like gas and IBS then eating coconut oil is a great way to soothe your symptoms. The properties and fats within coconut oil "help in the absorption of other nutrients such as vitamins, minerals and amino acids; and also its antimicrobial properties help in dealing with various bacteria, fungi, and parasites that can cause indigestion." explains Geeta. Most important of all, it tastes amazing. Unlike coconut water (let's just say you either love it or hate it), coconut oil is a lot less potent and can be used to flavour and sweeten dishes without totally overpowering them. The difference between good and bad fat can be pretty confusing for anyone trying to keep tabs on their health. The main thing you need to stay away from is trans fats and unfortunately a certain type of processed coconut oil is full of them. So Robert says the "first thing is to make sure is that you chose the 'virgin' varieties and not hydrogenated which will be full of trans fats that increase LDL cholesterol (bad) and decrease good cholesterol (good)." Then treat your body with all of the goodness coconut oil can bring. Convinced by coconut oil? Tweet us with your at @sofeminineUK. Is Oil Good For You? The Amazing Health Benefits Of Avocado Oil, Walnut and More!